You guys! You guys! LOOK! There's a cover and a title and everything! There isn't a blurb to be found anywhere online, but I don't care because it finally has a cover! If you've been visiting us for awhile, you might remember how the first book in this series, Ashes, left me cursing like a sailor because I had no idea it was the start of a series. 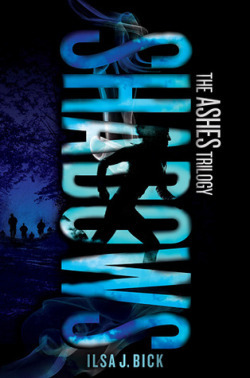 If you haven't been around that long, you can read my review of Ashes here. Needless to say, I loved it and have been on pins and needles for any information about the impending sequel. I don't care what it's about. I just want it in my hands right now.